SHMs release Save The World has reached everyones headphones by now and it is undoubtedly one of the best songs to come out this year. It is not a surprise that once the song was released every DJ wanted to put their own personal signature on it. If you ask me, I prefer the Original Mix to anything I have heard, in most cases the Original is always the best. However here are three of the newest remixes to reach the internet. Producer, Alesso, at the young age of 18 has been making a mark thus far on some big tunes, and his remix was released today on Pete Tong’s BBC Radio Show. 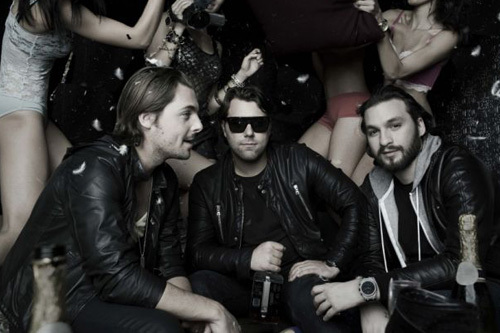 Posted on May 23, 2011, in Dance, House and tagged alesso, Dance, house, remix, swedish house mafia. Bookmark the permalink. Leave a comment.